From truly humble beginnings, Jim Phillips arrived in Tennant Creek 30 years ago with a Holden HQ Station Wagon. 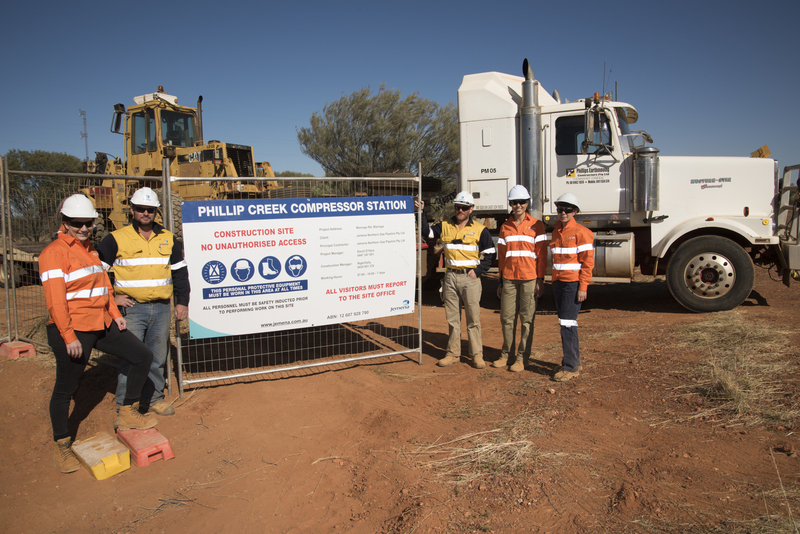 Today Jim and his team celebrate their arrival as the Earthmovers of choice in the NT; winning the early works contract for the Phillip Creek Compressor Station on Jemena’s Northern Gas Pipeline project. The Northern Gas Pipeline Project will create more than 900 jobs and provide a range of local employment and training initiatives, including the Project Ready Training Program, giving valuable training and employment opportunities for communities along the pipeline route. Jemena also has a focus on local content, seeking local businesses to do as much work as possible. 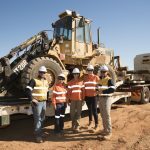 “We are thrilled to have contracted a local, family-owned business to undertake the first construction activities for the NGP,” Project Director Jonathan Spink said. The Phillips’ have mastered the ability to source locally to achieve on large Territory based projects. They are hiring a further 9 local people to complete this new project. Phillips Earthmoving thinks locally to achieve nationally; it thinks small to achieve big, and impact their local community. Angela and Elizabeth Phillips, Jim Phillips’ daughters, are the new power house team behind the big changes in the company, promoting local diversity as a means of productivity. Phillips Earthmoving is by no means strangers to working on large projects and is a leading contractor in the Central Australian Region. ‘It’s a Phillip’s Job,’ is the hallmark of their quality and ability to deliver on large projects. “We have a number of large projects under our belt now,” says Angela. 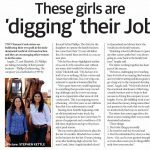 “Some of our biggest clients include Government Departments, Mining and Pastoral Companies. Where to next for the big movers in the NT? Bringing the Phillips name and quality nationally is the bold vision these sisters share; “We are currently in the planning phase of expanding our services interstate. We have the equipment and we can go anywhere,” says Angela. This is one NT company to keep your eye on!